This is a small plate by Juan Tafoya from 1983. 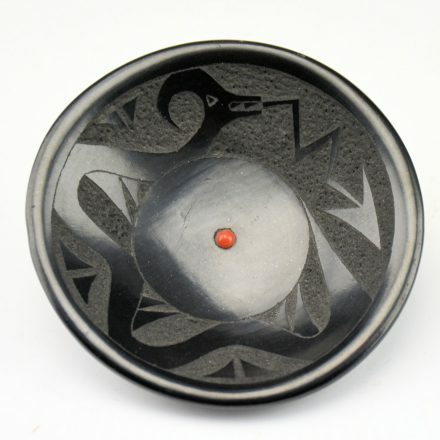 It is fully polished and etched with a water serpent (avanyu) as the design. 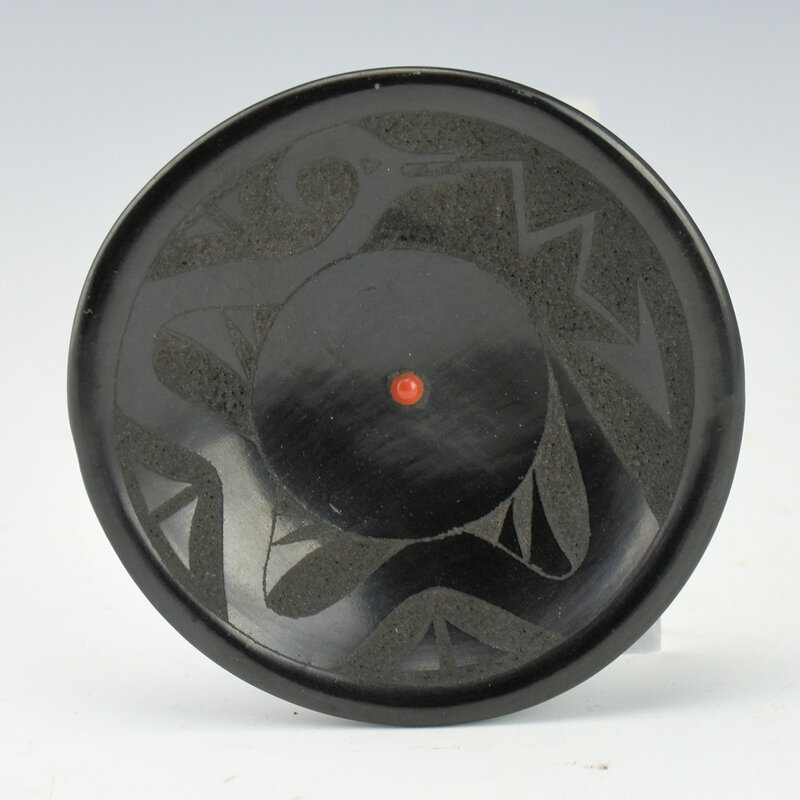 Juan was known for his etched designs and how he would chip away at the polished slip to form a textured background for his design. This can be seen around the body of the avanyu. In the center is an inset piece of coral. 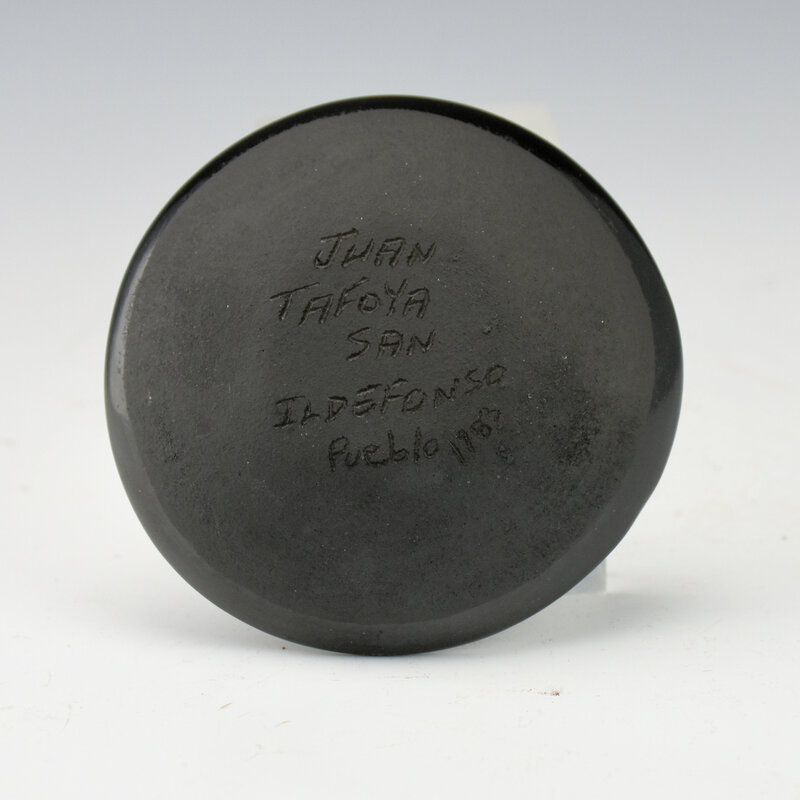 The plate is signed on the back, “Juan Tafoya”. It is in very good condition with no chips, cracks, restoration or repair.